Dino Vendetti a VC at Bay Partners, moved up to Bend, Oregon on a mission to engineer Bend into a regional technology cluster. 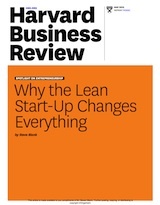 Over the years Dino and I brainstormed about how Lean entrepreneurship would affect regional development. Today with every city, state and country trying to build out a technology cluster, following Dino’s progress can provide others with a roadmap of what’s worked and what has not. Tech investing is risky. Success depends on finding startups that have identified acute customer pains in large markets where conditions are ripe for a new entrant. 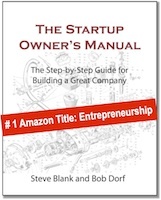 Few entrepreneurs find this scalable and repeatable business model because it’s not easy. However, four critical advances over the past decade (cloud, accelerators, Lean, and Angels) not only changed the math for tech investing but made regional tech clusters possible. Accelerators, which became mechanisms for focused entrepreneurship mentoring and delivery of best practices to startups. This was valuable to startups in the Valley and has been vital to startups in regions where the ecosystem is less developed. 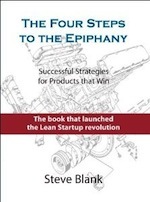 The Lean Movement, led by Steve Blank (and others,) created a set of methodologies that ushered in the era of Evidence Based Entrepreneurship. This has changed the way entrepreneurs think about building their startups and how investors should look at them. Angels & Crowdfunding: Coincident with the capital efficient movement came the current wave of angel investors, this time armed with the ability to collectively fund startups to the point of meaningful value creation on modest amounts of capital. Sites like AngelList have only amplified the collective reach of individual and grouped angel investors. These four developments, while important to Silicon Valley, are vital to developing regional tech clusters. While the density of Silicon Valley startups can’t be replicated in regions, the barriers of money and resources have disappeared. These changes make entrepreneurship possible anywhere. While the technology gap is closing, what’s still missing in local regions is early stage capital. Regionally located funds, such as Foundry Group in Boulder, are located outside of Silicon Valley or NY but their investments are primarily in the Valley or NY… they are not a regional fund per this discussion. Regional Angel funds that pool investors capital and typically make a one time investment in a startup, sometimes at an early stage but often at a slightly later stage. Late stage large regionally based funds that invest in late stage or mezzanine deals. most of those funds were also raised and invested prior to the huge capital efficient wave of the past 6-8 years. These regional funds invested in capital-intensive startups that required large initial investments. The result was too much money in too few deals. The inevitable failures then damaged returns. The Oregon startup scene today looks very different from what it did 10 years ago. Today it’s dominated by capital efficient software, web and mobile startups whereas 10 years ago it was dominated by semiconductor and hardware startups that consumed huge amounts of capital before their first dollar in revenue. We believe that regional funds need to walk a delicate balance…but it doesn’t take huge IPOs to return multiples of capital on a small fund. A typical VC fund in Silicon Valley might raise $200 -$400 million. And over a 10-year life of a fund only one out of five deals will deliver all the returns. A good return to your investors is 20% per year. That means over 10 years investors expect ~6x return on their investment. This means that those winning deals have to make a ~30x return to provide the venture capital fund that 20% compound return (the 6x). The Valley strategy is to get as much money to work in the high flying deals that are going to pop….It’s an educated/calculated swing-for-the-fences model and it can work and be extremely lucrative if you can consistently get in those deals. The problem for a regionally based investor is that there will be a limited number of startups in your region that have a realistic chance at an IPO. The percentage of VC backed startups that go public is very small, so counting on those exits in a regional fund would not be prudent (nice if it happens but don’t build the model to rely on it). The reality is that the super vast majority of liquidity events are M&A and the majority of those are in the under $100M range. As a result, large multi-hundred million-dollar funds focused on early stage investing in the region can be challenging. There just aren’t enough “right” regional startups to invest in. Bend playing Moneyball makes a lot of sense. In fact, it’s the only game that investors in a regional cluster can play. Regional investors need a way of improving their odds of getting base hits and minimize strikeouts. Playing Moneyball in venture capital means making smaller, smarter bets focused on companies and deals that the big teams, the Silicon Valley heavyweight investors, pass up; because the deals are too far from Silicon Valley, not yet known to them, not in their comfort zone, or not the fad of the month. Playing Moneyball also means playing with the money you have. The reality for a regional investor is that you have to match the capital you raise to the deal/exit environment you are in. Specifically this means that a regional fund should be $10-30M. (With a portfolio of at least 20 investments, or you are at risk of the adverse selection problem.) And the fund should be looking at startups that can provide $20M to $100M exits – almost certainly as M&A deals. 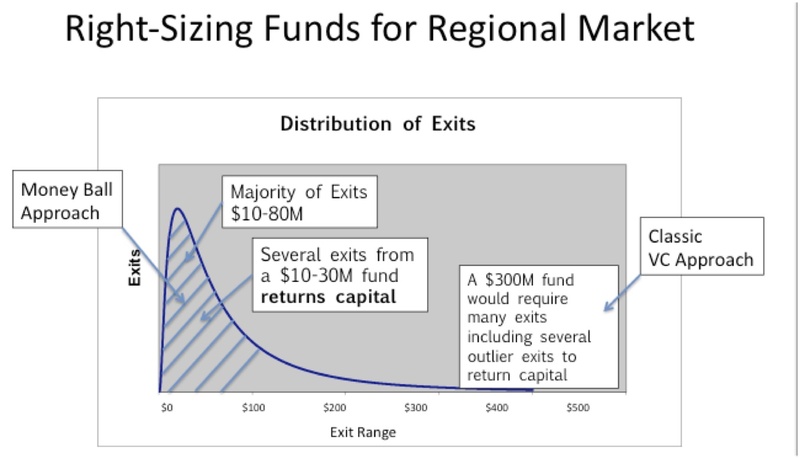 The chart below diagrams our regional fund strategy. The good news for regional investors is that these factors allow you to play Moneyball if (and that’s a big IF) you are investing in entrepreneurs who are living and breathing evidence-based entrepreneurship and who are building scalable startups. This is true whether the company is concept stage or ramping revenue. I’ve found a lot of companies in the region that have found a way to get to some level of revenue traction but haven’t broken out. When you dig in, the reasons are usually easily discoverable and observable. One of the fundamental benefits of being so active in building the FoundersPad accelerator (a 12-week, Lean Startup program focused on customer development) is working with the cohort participants on refining their business models. This experience has provided me a whole new set of pattern matching filters as an investor. The business model canvas and the customer development process provide investors an incredible opportunity to evaluate how deeply an entrepreneur has engaged with their target customers and, more importantly, what they have learned about the problem-solution space they are going after. This learning and the measurements and metrics that surround it is what evidence based entrepreneurship is all about and what makes it a powerful tool for entrepreneurs, investors and accelerators. If you are a regional accelerator or investor and would like to talk and compare notes please feel free to email me. Regions are missing early-stage capital. Valley-sized VC funds don’t work. Do Bend companies suffer from not getting the buzz they would get in Silicon Valley? Or have they found a way to compensate?